When I was a teenager, the worst thing one of my favourite bands could do was “sell out.” In retrospect, it was a pretty ridiculous and largely arbitrary proclamation for a young person to make – amongst my group of friends, it was usually reserved for whenever a heavy metal band we liked went soft and recorded a ballad that was clearly designed to appeal to mainstream record buyers. It was especially naive, given the fact that every musician had to sell out to some extent in order to get their creation out to the public in the first place. These days, you don’t hear too much about bands selling out, largely because just about any musician would be happy to sell just about anything given the state of actual music sales. Indeed, the “sellout” label is now increasingly being used in the technology world, where promising young inventors are giving their amazing ideas to giant companies in exchange for boatloads of cash (which can also be used to buy boats themselves). Such is the case with Oculus Rift, the virtual reality headset invented by 21-year-old Palmer Luckey, which was bought by Facebook for $2 billion on Tuesday. In this case, Facebook – perhaps the most hated company on the internet – is the loathsome record label while Luckey is the quintessential Metallica or Def Leppard. And boy are the fans ever angry. 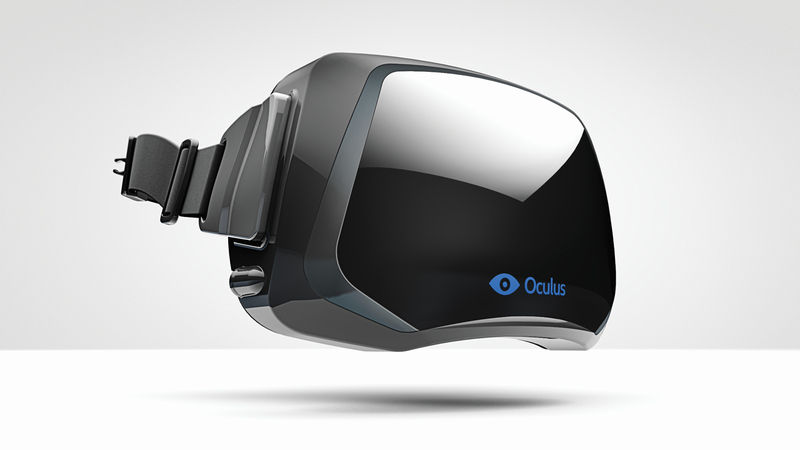 Oculus Rift came to life on Kickstarter back in 2012. By listing his impressive demo of the virtual reality headset on the crowd-funding site, Luckey captured the imagination of more than 9,500 people who collectively pledged $2.4 million – 10 times what he was asking for – to help make the Rift a reality. Luckey doesn’t yet have a working product, but Facebook founder Mark Zuckerberg was impressed enough by the prototype to open his coffers. Both individuals explained and defended the deal as necessary for taking virtual reality to the next level. Many people who gave to the cause, and who are active on Kickstarter in general, are aware of the fact that their financial backing of ideas is more akin to charity than it is to investment, but they were shocked and outraged in this instance nevertheless simply because they felt like they had been used as bait to lure venture capital investors, who in turn orchestrated the sellout to Facebook. Did Luckey ever have the intention of making the Rift an actual product that he could then sell and perhaps build a company around? Perhaps, but that’s not how many of the backers – some of whom used very colourful language to convey their displeasure – are seeing it. Perhaps the most telling of the angry comments came from backer Sergey Chubukov, who called the sellout a disgrace. “It damages not only your reputation, but the whole of crowd-funding. I cannot put into words how betrayed I feel by this,” he wrote on the Oculus Kickstarter page. Many creators are now going to have to spell out their long-term intentions if they want to continue to generate donations through such mechanisms. Potential donors are likely to look at those burned in this deal and want guarantees that the same won’t happen to them. Charity is one thing, but inadvertently giving money to a hated entity is another entirely. It’s going to be fun to watch what form these guarantees take going forward, and it’ll be doubly fun to watch some creator squirm under the backlash when he or she inevitably breaks it when the boatload of cash ultimately arrives. The buyout of Oculus VR by Facebook is something that makes me quite angry and, I think, should be THE watershed moment for gamers about the state of the video game industry. I wrote a bit about this after finding out about it and reading Notch’s reaction. The video game industry used to be a corporate automaton where the developers didn’t have any rights to, if a bit naive a representation, to a collective of artisans and now to an awkward admixture of the two with the corporate automaton taking on a different face. But when it comes to things like Kickstarter, I just don’t think that it’s a good idea in general and can lead to a plethora of problems, not the least of which amongst what we are seeing here. It seems to me that if someone or a group have ideas for a game that are beyond their talents they should try to find those who have the talent and, much like an underground band, complete their demos and such on their own time and build their gaming version of their own sound. Commercial viability shouldn’t be what game makers are aiming at, it should be good games, yet we’ve seen the conversation turn all but exclusively toward monetisation and with that sort of environment commercial viability has been seen as ‘making it’. It seems to me that, though unintentional, Kickstarter confuses and conflates creativity with commercial viability. Added to this, seasoned developers are using Kickstarter and this just puts a sour taste in my mouth. These are the people that have the connexions and (sometimes) proven track records but are offering ideas that are too financially risky according to the suits to be worth investing in, so, in order to make the game at all, these developers turn to crowd-funding. This seems to me to participate in the misunderstanding of charity v. investment that you gestured to in your post. Regular backers/investors aren’t interested in getting involved and, since they have the money, crowd-funders presume themselves to be not just backers but investors without looking toward the real differences between them. Having strong roots in promoting the indie music scene myself, your thoughts from your younger and current self are both correct. From my experience and from interview several who started out as indie in the music industry to become big, often times the real artistic aspect of creation is very much diminished when big labels come knocking. The answer was in almost all I asked on this was to stay true to yourself, your artistic talent. Fight for it! Never forget where you came from. Those that stay true to that have long careers, those that don’t and sell your soul, often end up one hit wonders. In tech I think there needs to be a realization that the grass roots don’t mean anything when big money is involved, especially with tech companies have been acting unethically towards users privacy. I would have put up a fight with Facebook. If you really want my invention, it is not to be used to track users activities while using it, and pay back those who have contributed to the project with interest.